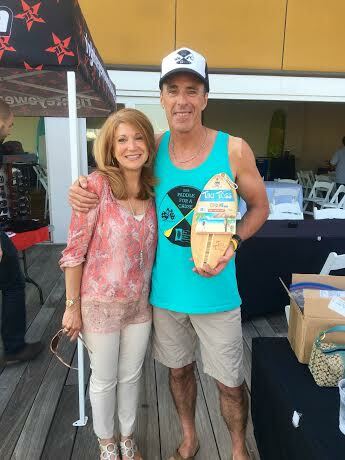 Paddling for cancer is what my client Andy Giordano does and everyone wins. 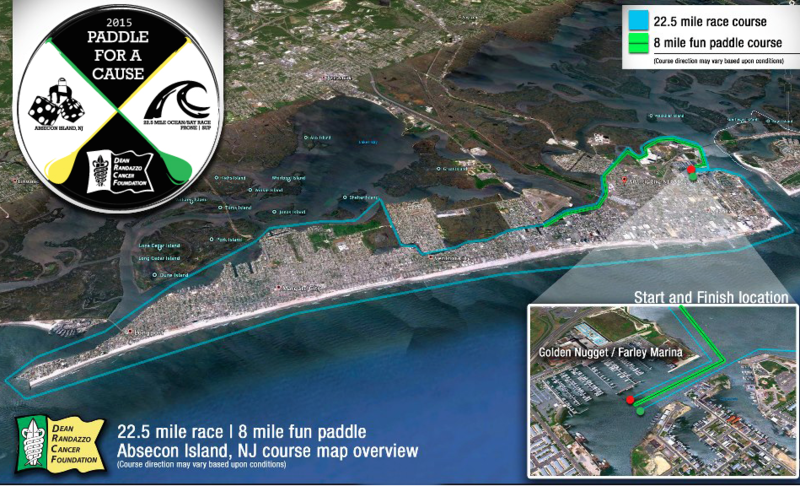 He not only placed 2nd in his division in the grueling 22.5 miler with a time of 5 hours and 32 minutes, around Absecon Island in New Jersey; but along with 104 other paddlers he was raising money to support the 9th Annual Paddle For A Cause for the Dean Randazzo Cancer Foundation. Their goal is $100,000 and so far they’ve raised almost $65,000. Congrats to all the participants and those who donated. Cancer is near and dear to Andy, who spends most of his days with his lovely wife Sue, their dog Callie and amazing son Andrew and daughter Claudia. 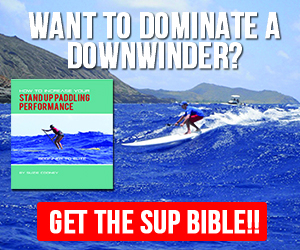 By day he is President and Co-Founder Surf Nano Products, and other days he’s training and paddling. 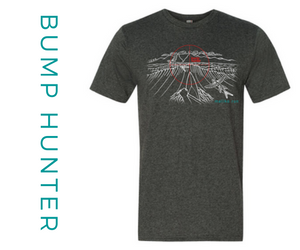 I know how dedicated he is to his family and his community of fellow paddlers. He is an amazing example of how one has to fight out there to win not only on the water but in life. Sure Andy wants to do well and by the looks of him, he does train. But more importantly he is paddling with his heart to show the world you have to give everything your best, even your own battles and even if it’s cancer. I remember first meeting Andy at one of the early Battle of the Paddles. His smile was contagious and you could tell he was one of those guys who is the real deal. So glad to know you Andy! Just before this big race we had a pretty in depth SKYPE session to prepare him for standing on his board for 22+ miles and created a hydration and training strategy. I made a punch list of what he needed to do and he was so on top of it, I knew he would do well with whatever came his way. 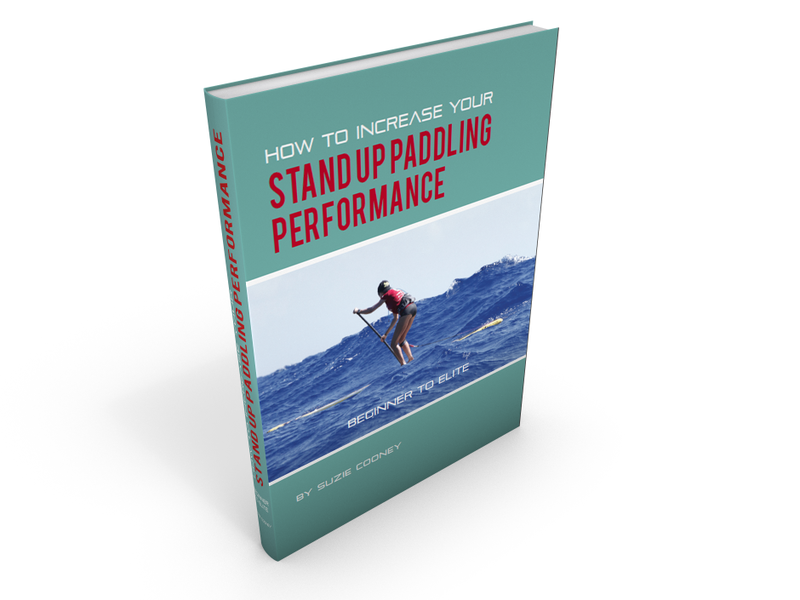 I talked about how he had to get his mental game on just as much as his physical game and he got that also from re reading my book many times over, How to Increase Your Stand Up Paddling Performance, Beginner to Elite. I think next book I need to dedicate a chapter to you Andy for following everything to a “t”. 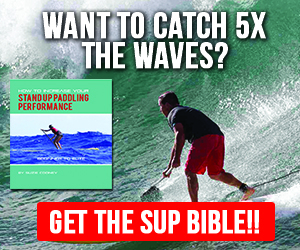 Andy, Mahalo for sharing your enthusiasm for life! You have an amazing way about you and it shows in your family. Keep on sweep’n and let’s try to sweep cancer away for good and encourage those that are managing the disease or families or friends who are supporting someone dear to them; to stand up to cancer. Our spirits and our minds have the incredible powers to do so. And to those that have lost a loved one, we are thinking of you. 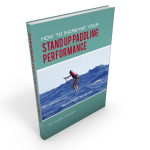 Stand up paddling is an amazing way to gain strength in mind and body. 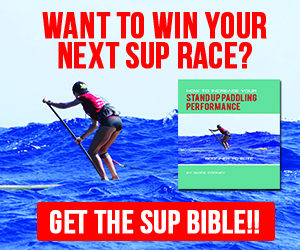 If you haven’t already, give it a try or suggest SUP to someone who may enjoy a new connection to the world of water. 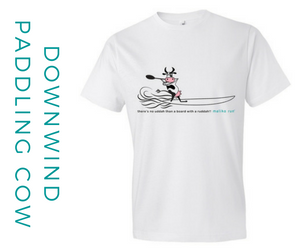 Check out my new website Maliko Run for Everything Downwind. 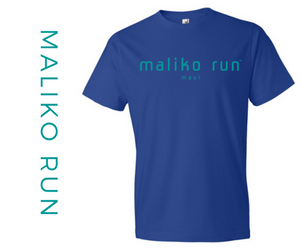 Get your Maliko Run Gear! 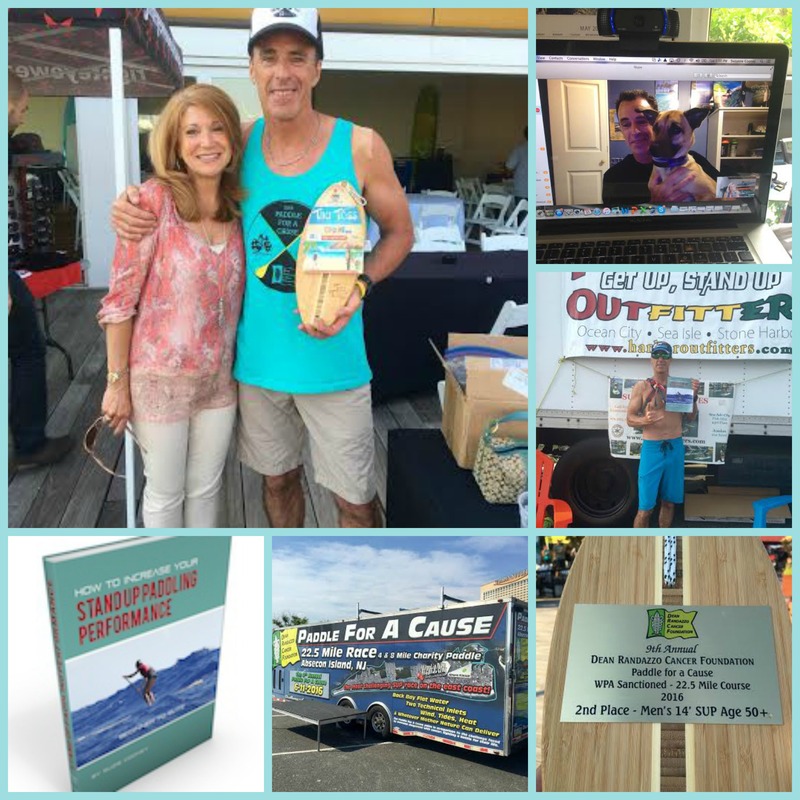 I’m Suzie Cooney, and as Maui’s elite fitness professional and healthy lifestyle specialist, I’ve been changing people’s lives since 2001. Contact me today, I will change your life! You CAN be healthy, fit and strong. bestselling author and previous editor in chief of O, The Oprah Magazine. Join our secure and EXCLUSIVE mailing list. 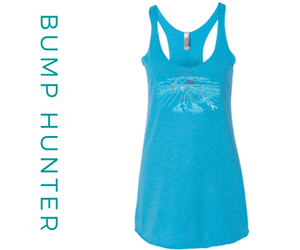 Mahalo for joining our Suzie Trains Maui Ohana! 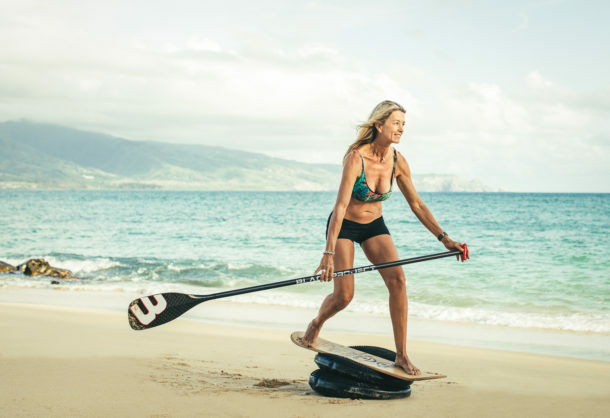 You might not be able to get to Maui, but Suzie Trains Maui can now come to you! Take advantage of these jewels NOW!